On a recent hunt, I found one answer to that question: Bolderton's recently introduced All Climate Gear in Mossy Oak’s Break-Up Country pattern, sold exclusively at the Sportsman's Guide. I've been using the Bolderton system a good deal the last couple months, on the above-mentioned hunt (whitetails in Nebraska) and in my home state of Wisconsin. The Bolderton clothing not only keeps me warm and dry in the field—it also lets me adapt to changing weather and temperature conditions. I deer hunted the central Platte River area of Nebraska in November. Temperatures ranged from the low-20s in the mornings all the way to the mid-60s by early afternoon. Snow was limited to a dusting a couple of days, but the wind, and the wind chills it created, was defiantly a factor more than once. I wore base layers in the mornings and, per Nebraska deer hunting regulations, sported a blaze orange vest over my Bolderton clothing. In the mornings, I usually wore the Synthetic Down Insulated Liner Jacket and Insulated Liner Pants. In a pop-up blind, the insulated jacket and pants did a great job of keeping me warm, even though the blinds had some large gaps that allowed a breeze. Also, I should note, the blinds didn’t have heaters, so a 24-degree morning meant it was darned cold in the blind. The morning of day three started out with mid-20s for temperatures and winds approaching 30 miles per hour. And I was hunting from a tree stand! So, I added the Waterproof Parka Shell to my clothing arsenal. Sitting up 20 feet in a stand attached to a large cottonwood tree, the side of my face got cold. But the Waterproof Parka Shell broke the wind nicely, while the Insulated Pants and Jacket kept me warm despite the single-digit wind chills. My afternoon hunts gave me a good sense of how adaptable the All Climate Gear could be. I hiked the half mile to my pop-up blind in temperatures at or just above 60 degrees, wearing the Insulated Jacket and Pants, and carrying a heavy backpack and my rifle. By the time I got into my blind, I was sweating. I took off my jacket, and then unzipped the sides of the Insulated Pants and folded back the flaps. The heat poured out of the now-unzipped pants. Within five minutes, I had cooled off enough to hunt comfortably. The Bolderton All Climate Synthetic Down Insulated Liner Jacket and Insulated Liner Pants are both water-resistant and made with a 90/10 ratio of polyester and spandex with a polyurethane coating. Thinsulate Featherless Synthetic Down is used for warmth. The sides and underarms of the jacket have stretch panels for added comfort and there are two vertical, zippered pockets. A pass-through safety harness opening is built into the jacket, too. The jacket is zip-in compatible with the Waterproof Parka, and the Insulated Pants can be worn separately or under the Waterproof Shell Pants. Bolderton’s Waterproof Shell Parka and Pants feature taped seams and DWR polyurethane lamination to make them 100-percent waterproof. To help you move quietly, the outer surfaces are made of brushed, polyester suede. 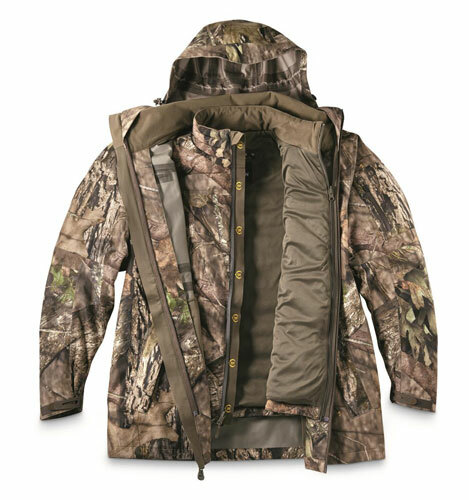 The Parka also has a pass-through safety harness opening and two-way adjustable hood. You can’t stay warm in the field without a good pair of boots, and I was fortunate to have a new pair of Cold Snap Boots in Mossy Oak Break-Up Country from LaCrosse Footwear on this hunt. 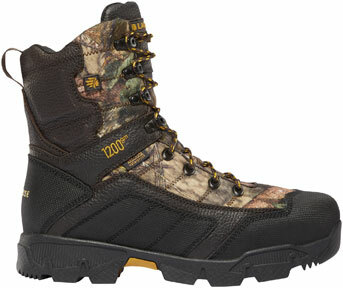 Featuring 1200 grams of Thinsulate Ultra Insulation, the Cold Snaps not only kept my feet warm, these fully waterproof boots also provided great traction and ankle support, whether I was hiking through cut-over corn fields, making a path through heavy brush or climbing into my ladder stand. The Cold Snap uppers are made of full-grain leather and lightweight 900 Denier nylon upper for rugged durability. The leather is actually coated in polyurethane in high-wear areas for added abrasion resistance. The boots feature LaCrosse’s deep-lug Permafrost outsole with a 90-degree heel for max traction on the ground and when climbing ladders. They are also available in 1600- and 2000-gram Thinsulate models. 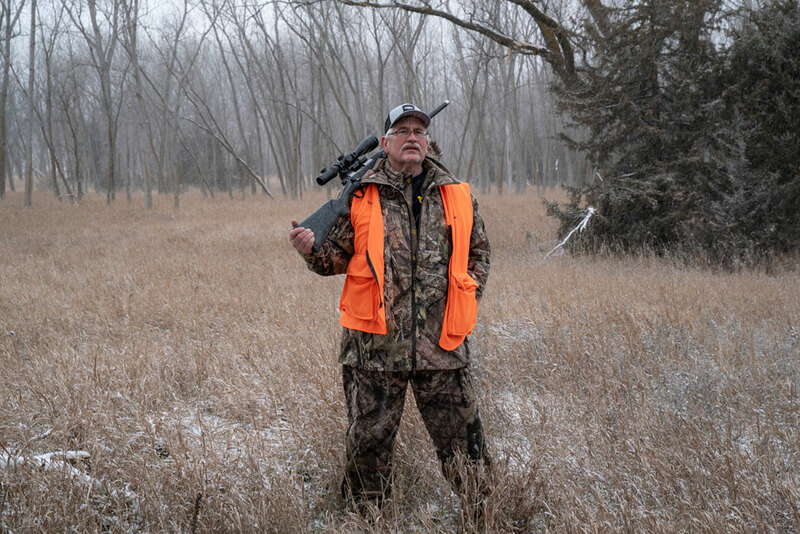 By the way, I’ve been wearing the Bolderton All Climate and my LaCrosse Cold Snap boots around my home in north-central Wisconsin, including during our late November deer hunt. My Nebraska experience with Bolderton and the Cold Snap boots wasn’t a fluke. They’ve been keeping me warm and dry on the Frozen Tundra, too! Mossy Oak is pleased to announce new Bolderton tree stands available at Sportsman’s Guide are offered in Break-Up Country. New Bolderton tree stands are available now and come in a variety of styles; one is sure to fit your needs this fall hunting season. Mossy Oak is excited to announce that Bolderton will feature Mossy Oak Break-Up Country on their all-new All-Climate Series, available exclusively at Sportsman’s Guide. 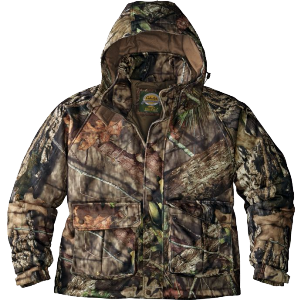 With fall hunting seasons right around the corner, now is the time to get yourself properly outfitted for the ultimate in comfort and camouflage. Cabela’s 10-Point gear offers hunters a waterproof, warm, quiet and comfortable product at an affordable price, and it is offered in the new Mossy Oak® Break-Up Country pattern. Using dramatically larger limbs, leaves, bark, branches and other digitally enhanced natural elements, Break-Up Country annihilates your outline and fuses you with the terrain like no pattern that has come before it – at any distance, anywhere across the country.